OSAGE — An Osage man accused of kidnapping and assaulting a teen girl has entered an Alford plea in the case. 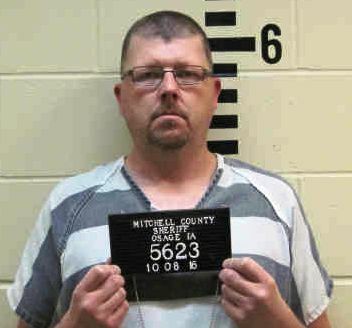 The Mitchell County Sheriff’s Department says 43-year-old Timothy Hines was arrested after they received a complaint of an assault involving a 14-year-old girl in the 1900 block of Lime Kiln Road near Osage on April 17th. Hines was charged with third-degree kidnapping and assault with the intent to commit sexual abuse. He originally pleaded not guilty to the charges, but as part of a plea agreement has entered an Alford plea to assault with the intent to commit sexual abuse resulting in injury, with the kidnapping charge being dismissed. An Alford plea means Hines does not admit guilt but acknowledges that the evidence would likely lead to a conviction. Hines is due in court for a hearing on January 15th.